Open layouts can be challenging but interesting. 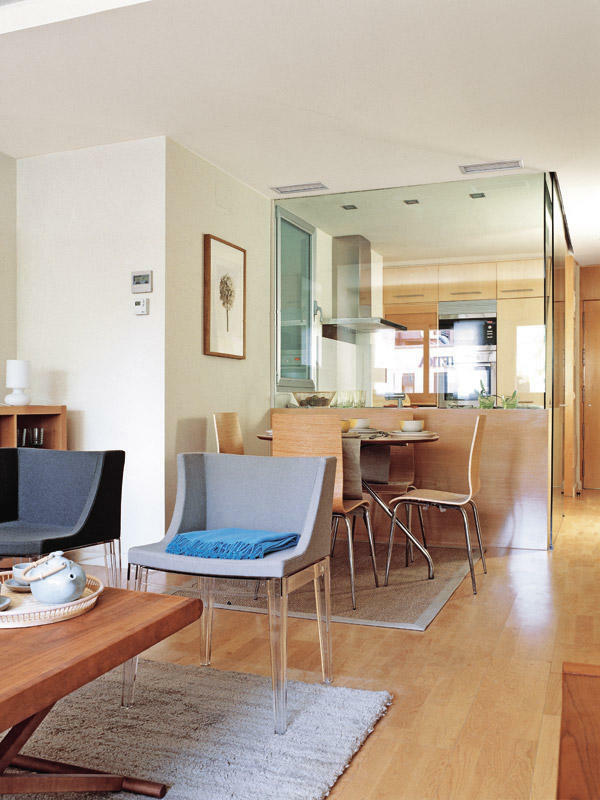 If there’s plenty of space how do you make it more cozy and if there’s not a lot of space to go around how do you break it up without turning rooms into small boxes. 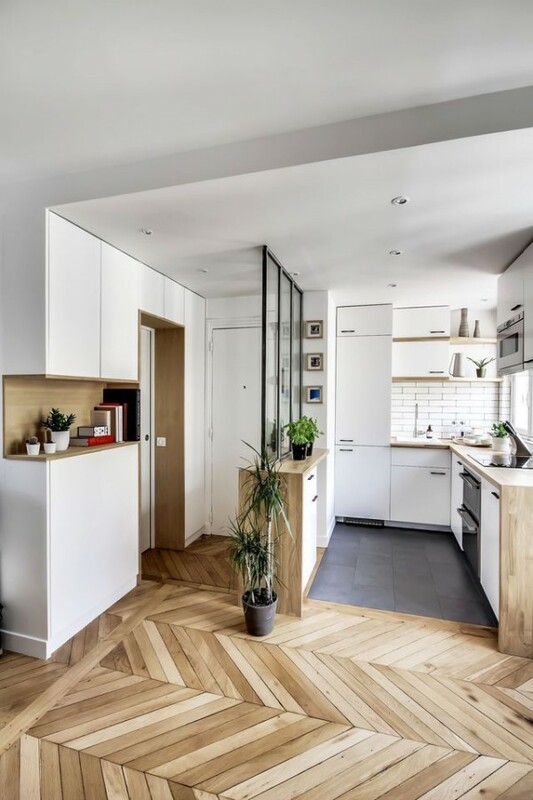 Well, if the former is true and you want to separate your kitchen from living space a glazed kitchen might be a perfect solution. Zoning out the kitchen will not only keep the smells and sounds out but it will also create walls and privacy nooks around the house. 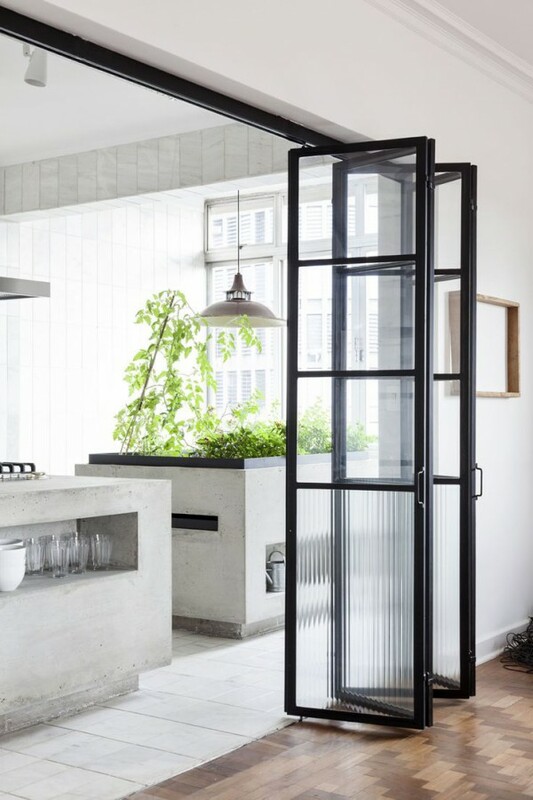 Installing a glass wall or a door is also a great way to separate the kitchen from the rest of the space in a studio apartment. Think about it as a shower wall. It can be made completely out of glass or have a half wall with storage (ideal for smaller spaces) and also a stylish window pane look.